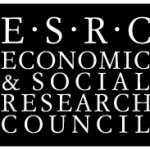 The AHRC expect universities to exercise demand management for the AHRC Collaborative Doctoral Awards call and therefore a special Research Proposal Review Service (RPRS) has been convened. 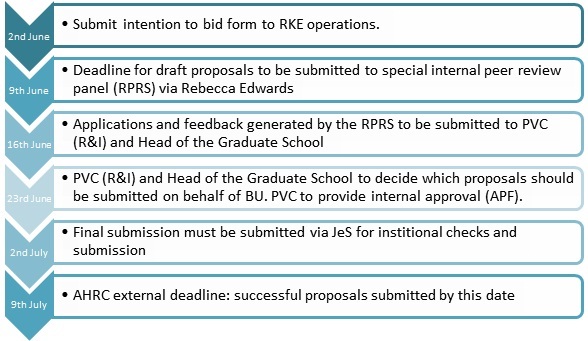 Throughout the development of their proposals, they should be liaising with RKE operations to ensure all the relevant costings and other bid information is developed in a timely manner. Adherence to AHRC guidance is crucial. In particular, colleagues should note that partnership working is especially important feature of this call. Notably from the guidance, the non-HEI partner is required to provide supervisory time and desk space as in-kind contributions. A written agreement is seen as essential for this partnership working alongside regularly reviewed project plans.